The Higher Clairvoyance Workshop provides the principles and techniques of developing the “Inner Eyes,” which in esoteric sciences is often called the “Heaven Eyes.” This course is offered to those interested in developing the ability to see beyond the physical material world. The course teaches techniques that will enable you to develop your clairvoyance skills. The purpose of clairvoyance is to see beyond the physical realm and apply it in healing. Being a clairvoyant is a gift. It gives you freedom and ability to see what is normally not known to all, the ability to look at objects, happenings and situations from a deeper level, beyond the physical manifestations. It therefore takes you nearer to the truth! This workshop is highly recommended for healers, spiritual practitioners and anyone who seeks the truth. 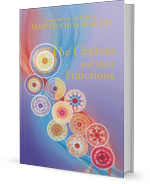 The Chakras and Their Functions is a compilation of teachings on the body's 11 major chakras and their significance to the inner workings of our energy body.